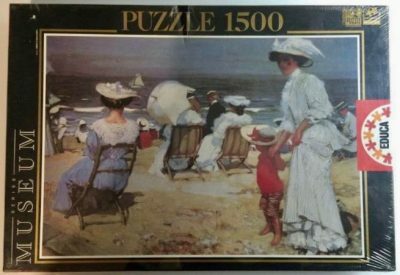 Educa manufactured this puzzle in 1998. The title is Patio de Caballos, by Manuel Castellano, and it is becoming very rare. The image is interesting because it depicts the moment when bullfighters used to get together just before the bullfighting started. Box size: 43 x 30 x 5.5. cm.